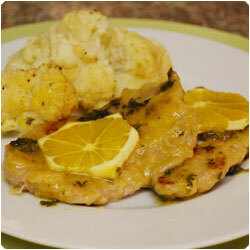 The original recipe for this scaloppini sacue is with lemon juice. 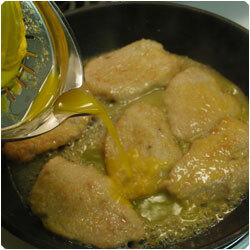 It is actually one of the most common way to cook scaloppini in Italy. 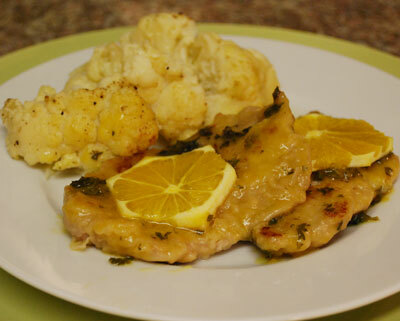 We wanted to try something different so we used orange juice instead. 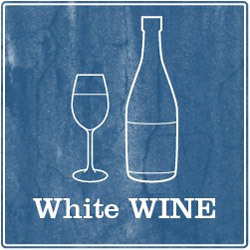 The flavor is less bitter and more sweet. 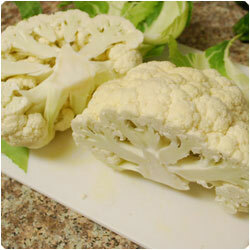 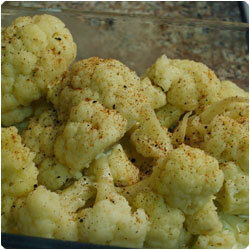 We cook them with some oven roasted cauliflower to make it a complete dish. 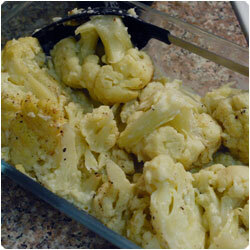 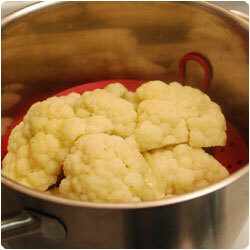 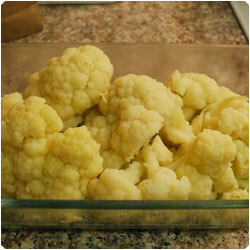 Once they are cooked cut the cauliflower in pieces and put them in a oven pan with a spoon of olive oil. 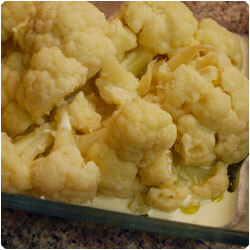 Pour the sour cream on top of them (or the whipping cream) and add nutmeg, salt and pepper to taste. 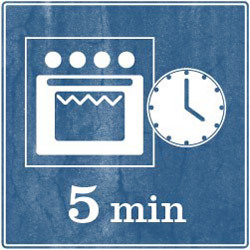 Let them broil in the oven for 5 to 10 minutes. 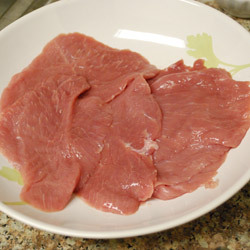 Meanwhile cook the scaloppini. 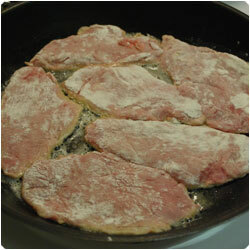 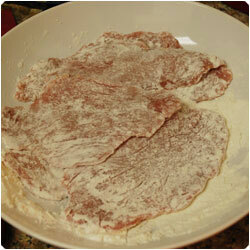 Bread with flour your veal slices. 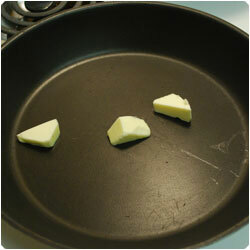 In a pan melt 2 tablespoons of butter (you can use also olive oil if you like). 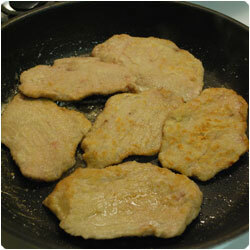 Add the scaloppini and cook them for 2-3 minutes both sides. 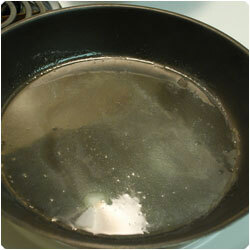 Add half a glass of white wine and let it evaporate. 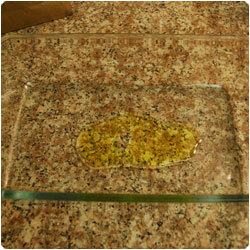 Sqeeze the orange and add the lemon in the pan. 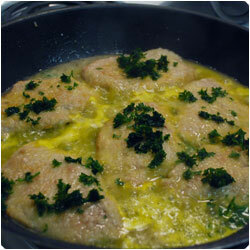 Let it simmer for few minutes adding the chopped Italian parsley and flipping the scaloppini one time. 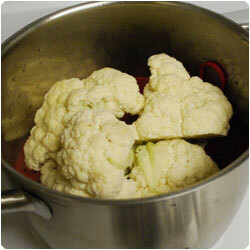 Serve warm with the cauliflower and a slice of orange on top.